Even with summer coming to a close…still need that Antiperspirant and Deodorant! 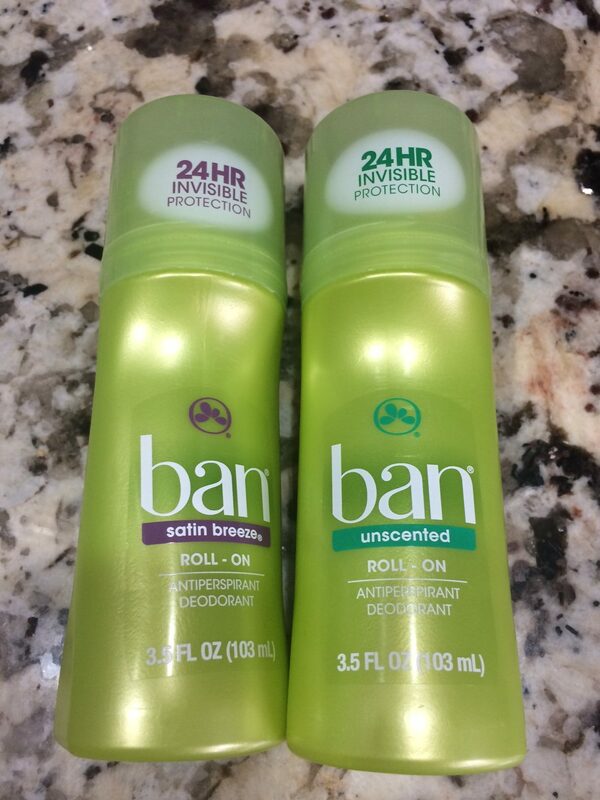 Ban has a Roll-on formula, that attacks both sweating and odors! I was given two of these roll on Deodorants to try, in Unscented, aimed at sensitive skin, and in Satin Breeze. Retail price of both are $4.99 each at most Drug stores and Mass Retailers. Now some background information… I weight train/workout 6 days a week. I’m on my feet most of the day. I commute. In other words… I am constantly moving, and being sweaty and stinky are things I DO NOT have time to worry about! My ideal Deodorant is one that I don’t have to apply multiple times per day just to work. 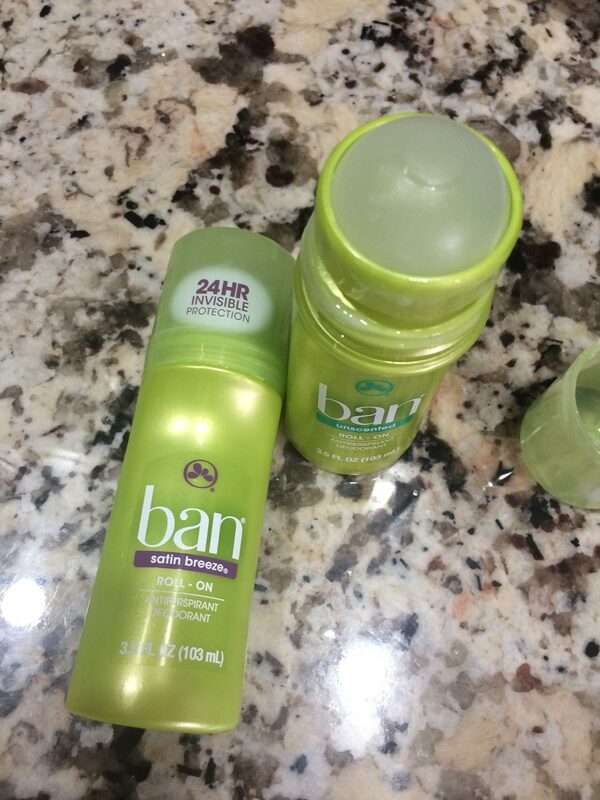 These Deodorants state that they have 24 hour invisible protection, and are non irritating. It does indeed roll on smooth. The satin breeze smells nice, a bit floral, and fresh. The Unscented is…well unscented. No smell at all. Which I can’t tell if I like or not. Happy to report there was no irritation on my skin, even when using after shaving. There were NO white marks, which was also a plus. I HATE THAT!!!! That is one of the reasons I will only use gel Deodorants…. no white marks all over my clothing. But okay…okay… HOW DOES IT WORK!? Honestly…it’s OK. The antiperspirant side worked pretty well, I didn’t feel like I was sweating in any of my shirts (nobody likes those sweat stains!). However, I personally feel the Deodorant aspect of this product isn’t strong enough. I ended up applying a few times per day, before and after gym, when I got home from work, after a shower, etc., and moreso on those hot and humid days where you are just sweating non-stop. Overall, not my favorite. I would use it in a pinch, but I wouldn’t buy in the future. I personally need something a little stronger. But if you are content with an average strength Deodorant, then this product is worth a try. For me… 3 stars. I received this product to try for free. This is an unbiased review.